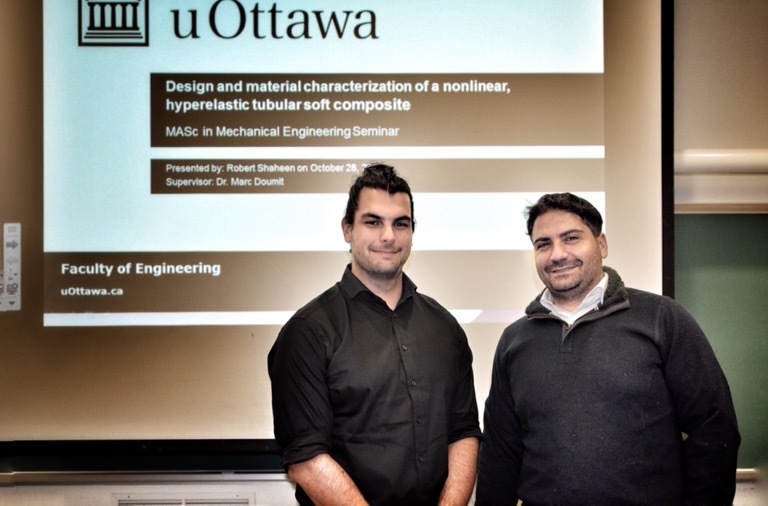 Last Friday, another one of my students presented his MASc thesis seminar. 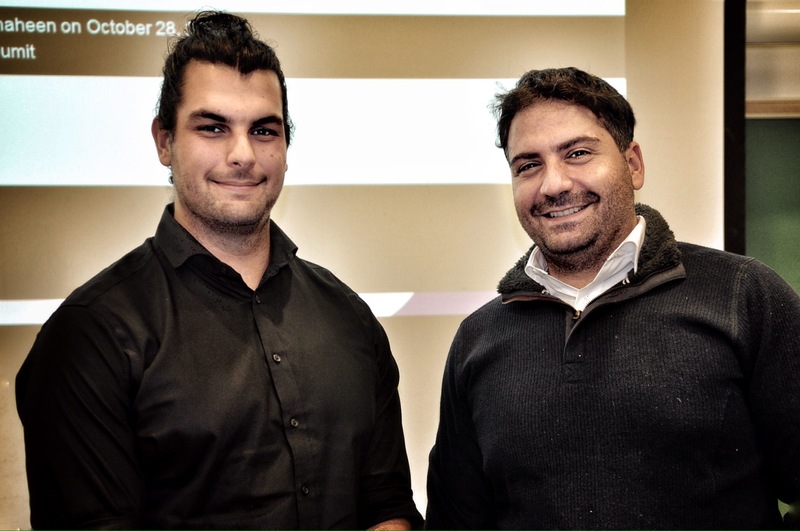 Franck Tchuente presented his talk on “Recognition and classification of agressive movements using a smart watch”. 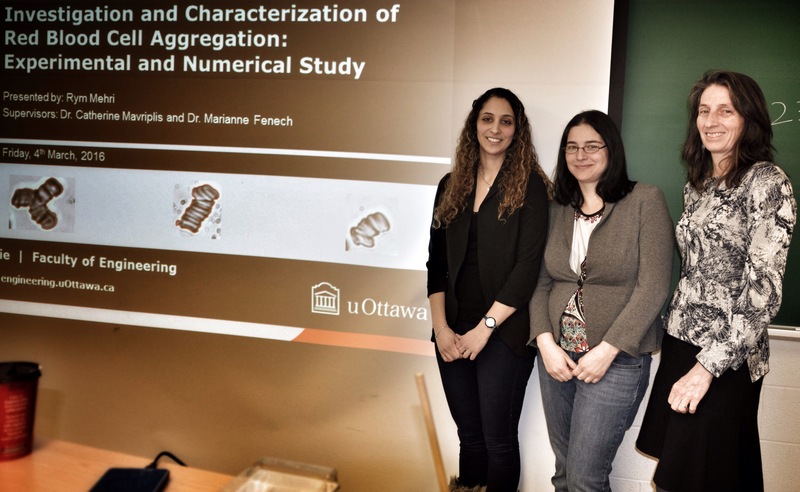 The work was also co-supervised by Dr. Edward Lemaire at the Ottawa hospital rehabilitation institute. As always, I’m super-proud of my students. Great work, Franck! 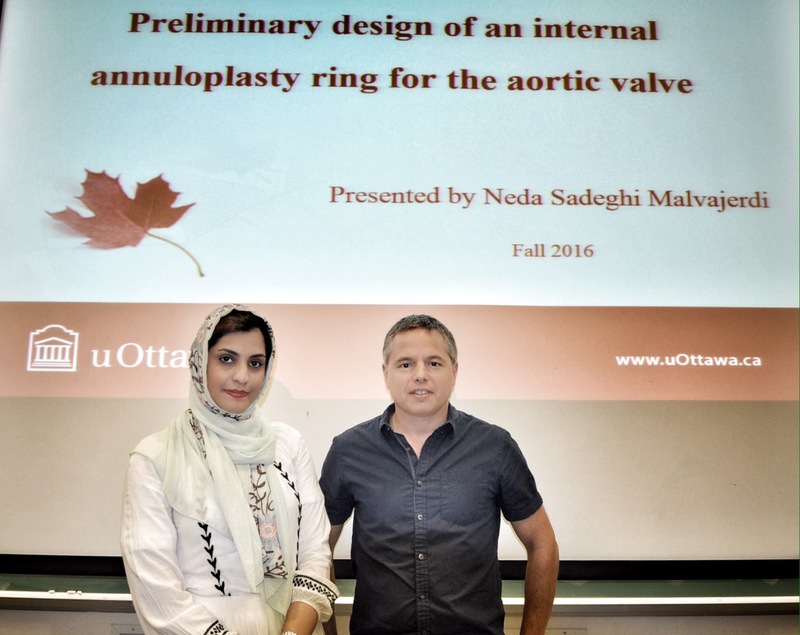 Last Friday, Neda Sadeghi Malvajerdi presented the work from her MASc, with a talk titled “Preliminary design of an internal annuloplasty ring for the aortic valve”. 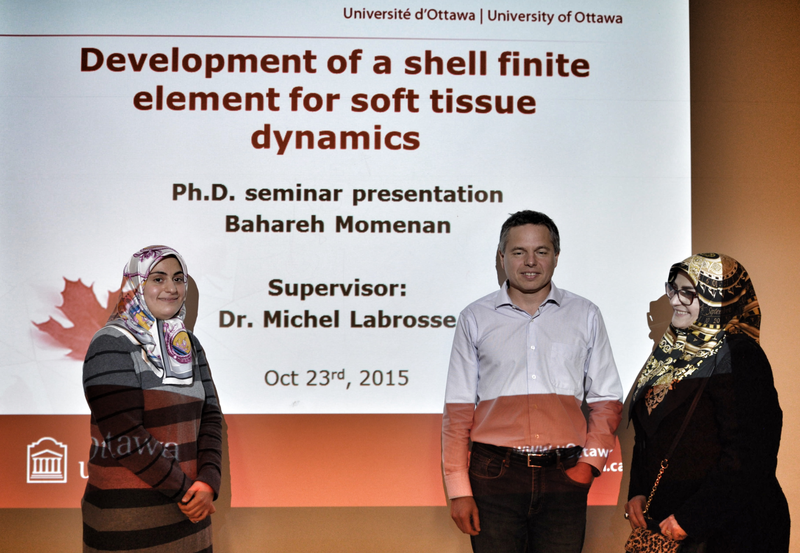 Supervisor Dr. Michel Labrosse was in the audience (as was husband Majid). Thanks to everyone who came back for the talk after the fire alarm went off! 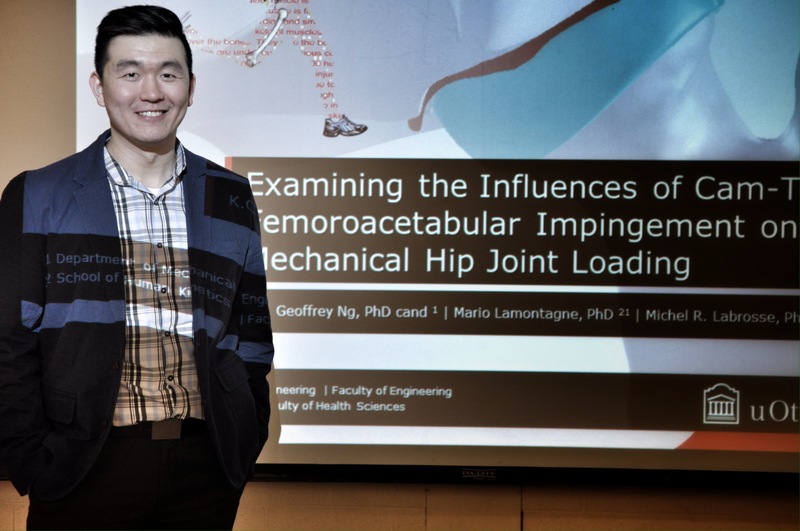 Last Friday, Geoff Ng presented his PhD thesis seminar on “Examining the Influences of Cam-Type Femoroacetabular Impingement on Mechanical Hip Joint Loading”. 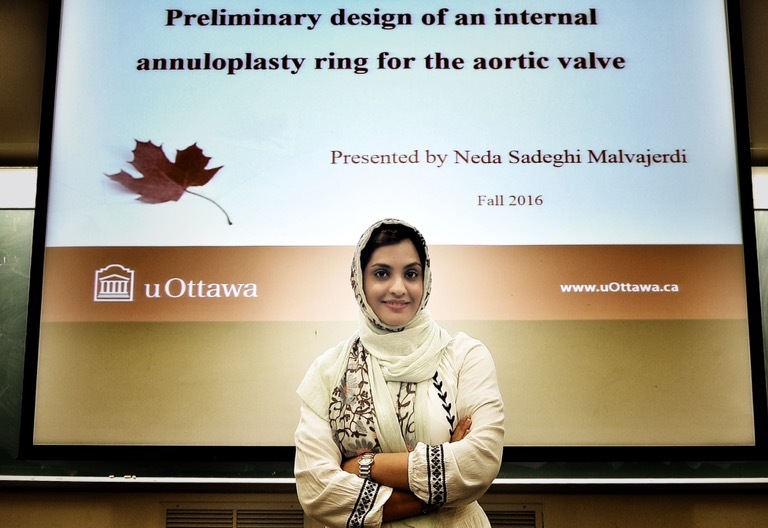 A very interesting talk! Unfortunately, supervisors Drs. 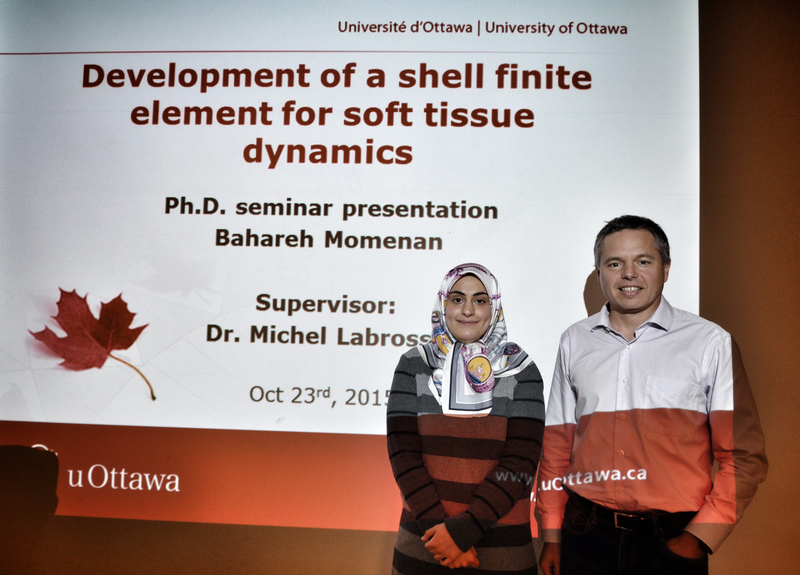 Michel Labrosse and Mario Lamontagne could not be present, but Geoff gave an excellent talk. 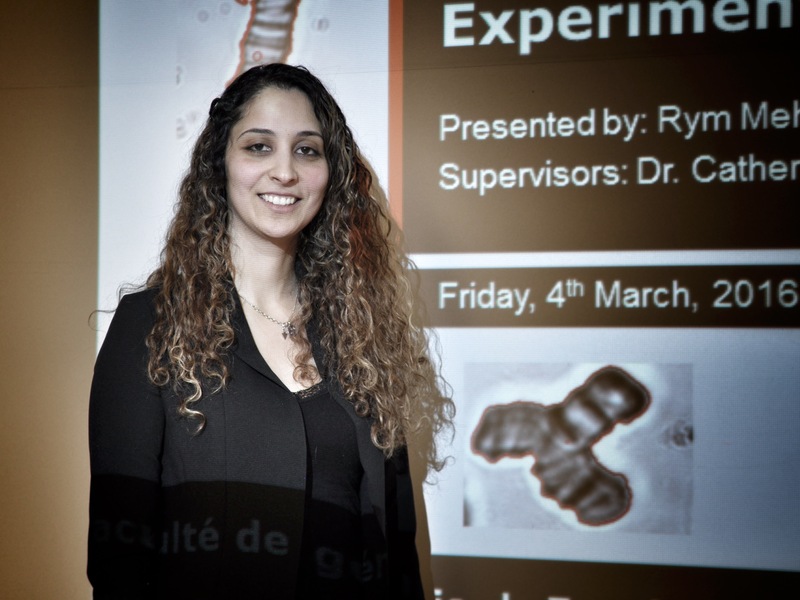 Rym Mehri presented her PhD thesis seminar last Friday. Proud supervisors Drs. 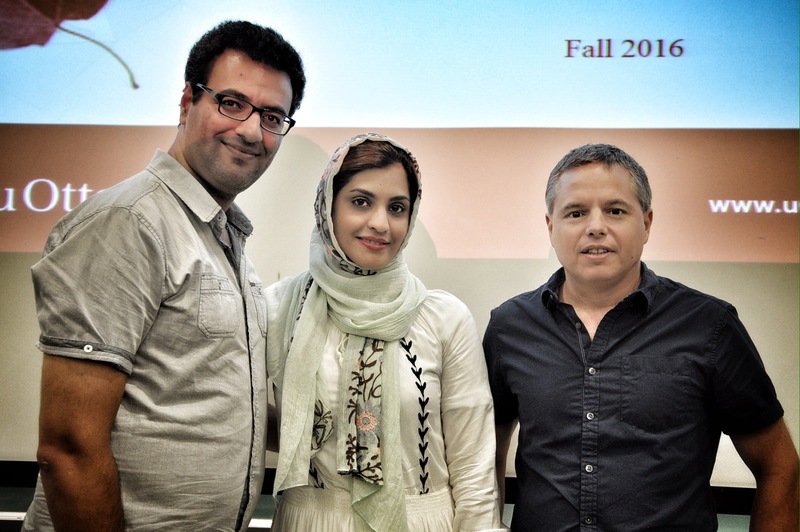 Fenech and Mavriplis were on hand for support. Well done, Rym! 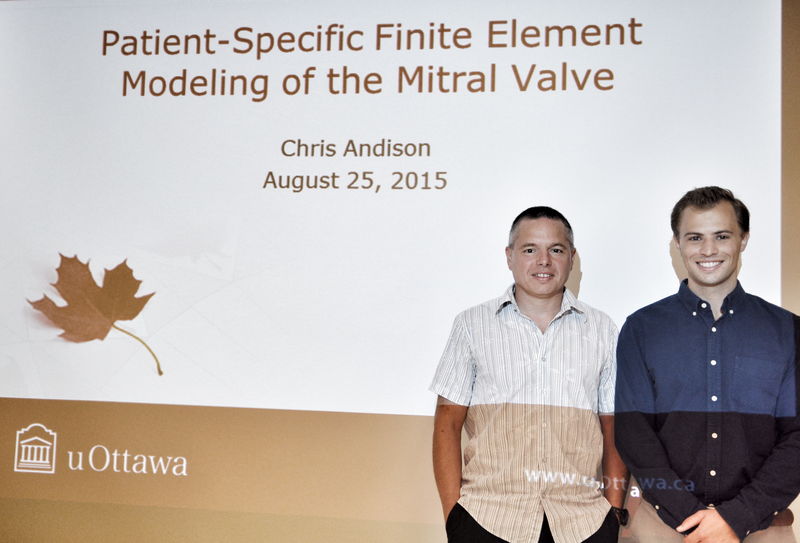 Chris Andison presented his MASc seminar last Tuesday. 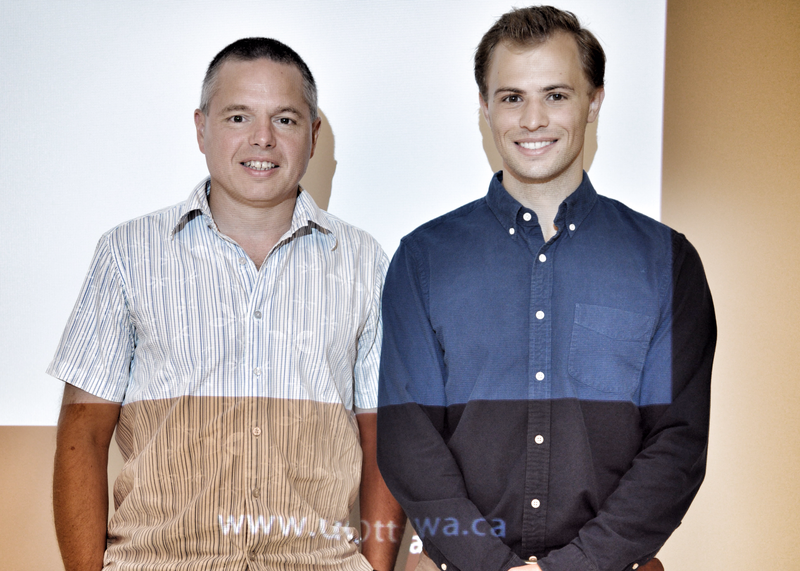 Thanks to his supervisor Dr. Michel Labrosse for coming out in support!